A strong defensive system should have an overriding principle — a theme in which the defense is built around. At LSU, that overriding principle is: “stop the basketball.” It is very simply stated, but within that concept is a challenging goal for any defensive team. What we have done by making this our primary principle is give us a reference point for all other guidelines in our defensive system. As we go through all of the areas of our base defense, you will see that the reason for much of what we do defensively will rely on putting our players in position to stop the basketball. All good defensive systems must start with the stance. This is relative regardless of how you play defensively, whether your are a man-to-man coach, a zone coach, or choose to play a multiple defensive system. If you are going to be solid defensively, you must first teach your players the proper stance and, more importantly, condition them to stay in that stance. If stopping the ball is the overriding principle to our defense, then ball pressure becomes one of the most critical elements. We want to be able to control the basketball and dictate where it will be dribbled. Our point of pick up on the basketball will start at half court at which time we want to influence the ball to one side of the floor. We believe it is advantageous to the offense to have the ball in the middle of the court as our defense is unable to distinguish ballside and helpside. Once the ball is on the side we want to influence the ball to the corner. The terminology we will use is “influence” rather than “force.” This is also somewhat of an alteration of our past philosophy. 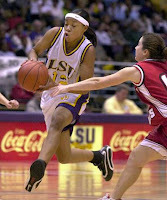 In the past, our defense has gotten up on the top foot of the ball handler almost inviting her to drive baseline. Influencing to the corner will give us a better stance to take away the direct penetration to the block. This is a slight change in philosophy when in the past we have taught forcing the ball to the baseline. We believe by influencing to the corner, we are keeping the ball on the side with less allowance for baseline dribble penetration . Because we’re influencing and not forcing, there will be an occasion when the ball handler will bring the ball back to the middle. This is allowable as long as the ball is on an angle going away from the basket. The importance of your opponent’s field goal percentage cannot be overstated. Roy Williams of Kansas says: “The most important stat to us is what our opponents shoot from the field.” Echoing that thought is Utah’s Rick Majerus: “The first and most important stat we look at after a game is our opponent’s field goal percentage.” Our goal is to make sure that our team is more attuned to what our opponents are shooting from the field. This will start in practice with our scrimmage sessions. Sometimes its not necessarily what you teach, but what you emphasize. this is the difference between great and little men." On September 25th I decided to do a daily blog on lessons that I've learned from Coach Meyer while he was recovering in the hospital in Sioux Falls, South Dakota from injuries received in an automobile accident. I am extremely excited to announce that Coach returned home yesterday to Aberdeen and knowing him, was at practice this morning at 5:00 AM. Adversity doesn't develop character -- it reveals it. And the last lesson of this series that Coach has taught us all is to have courage, dignity and determination in the face of extreme personal difficulties. Coach not only had an automobile accident that caused severe injuries but he continued to have setbacks through the process. After several surgeries it was decided to amputate his leg. Upon having his spleen removed it was discovered he had carcinoid cancer. Infections hampered his amputation. Blood clots formed in other parts of his body. It seemed every few days there would be a setback. Yet each time I heard from one of Coach's friends, former players or daughters, all they talked about was his great attitude, his determination and his sense of humor. "As I walked to therapy with Coach Meyer as he pushed himself in a non-motorized wheelchair, the leader of the Northern State men's basketball team coached his way down the hallway. He stopped at each room, saying “hi” and asking how the patient inside the room was feeling. He tells a little story about each one to me. Staff members coming by Meyer said some version of “how you doing today, Coach?”Coach responded to each question, using the first name of that staff member as well as the patients he visited. " During the past week, Mom and Dad formed a special friendship with Joe, a 19 year old who suffered a stroke on October 20 leaving him with no movement on the right side of his body. The first time Joe saw Dad he said, "If Coach can walk, I can walk. That guy inspires me." While Joe was a new Christian, he had an unbelievable faith and he knew that he would walk, in fact he said he would play college basketball. I'll admit when he told me that he would play college basketball, I questioned if the stroke had affected his brain. His faith seemed almost insane. The bond between Joe and our family is so strong... he calls me "big sister" and Mom, "Mom". Mom told me last night that it would be very hard to leave Joe. I understood, because it was tearfully hard for me to leave Joe on Monday. Joe was feeling the stress of Mom and Dad leaving as well. He told me that he went into his room this morning and was very emotional about Coach and Mom leaving. He told God that he was tired of people coming in and out of his life and he asked for a sign, something he could hold onto. Well.... God healed him. Joe, who had no movement or feeling in his right arm with no movement and only a numb feeling in his right leg, was miraculously healed. He called me and told me he was holding the phone with his right hand and then later he called and told me he could walk. Just like that, the 19 year old, who doctors thought would never walk again, is being discharged from the hospital on Friday. Needless to say, it was much easier for Mom to leave Joe. Dad encouraged Joe to be humble and never forget Philippians 4:6-7 and Romans 12. Coach still has a lot of battles to fight and hills to climb so we need to continue to keep him in our prayers. But we also know how he will handle each battle! WELCOME HOME COACH! "Spectacular achievements come from unspectacular preparation." There is a quote that is worth mentioning anytime you are involved with teaching. “It’s not what you say, it’s what they hear.” Often, as leaders and teachers, we lose sight of this fact. We think because we say it, they should understand it. Repetition is an extremely important part of effective teaching but it goes beyond doing drills repeatedly. It is also in what we communicate to our team. If you follow our program you know that we believe in repetition but you also know that there must be variety in your repetition. For example, if you want to be a good rebounding team, you might utilize a 2 on 2 blockout drill. Certainly this is a good drill. But you have a much better chance of being a good rebounding team if you have a variety of rebounding drills. In our program, we have around 15 rebounding drills. We don’t use each of them everyday but at certain times during the course of the season. They all stress the same fundamentals but the variety makes it fresh for our team. A new or rarely used drill will help stimulate the learning curve. We have found the same can be true of communicating. We think the ability for a staff to communicate to a team is tremendously important. Having said that, it should be noted that it is not always an easy thing to do. Just as in parenting, sometimes you can say that same thing over and over to your child and for some reason it doesn’t register. Yet one person outside of your home mentions it to your child and it’s like a light switch has been turned on. Knowing this up front, we work hard as a staff to look at how and what we communicate. But we’ve found out that who can also be important. We often bring in other people outside our program to speak to our team. Obviously we are careful in who we select but you’d be surprised at how many people out there can bring a good message to your team. We have used coaches from other sports, teachers from LSU, sports personalities, politicians, business leaders, and even an occasional booster that has a story to tell. One such example is a member of our Fast Break Club. Lydia Sims has been a big fan of our program. We later learned that she played on some of the great Immaculata teams with Marianne Stanley and later coached on the collegiate level. She addressed our team and she talked in great detail on the struggles of female athletes and the difficulties they had to overcome. It was time well spent for our players to get a great history lesson. During our run to the Final Four in 2004, we were fortunate enough to be involved in a regional in which Ann Meyers-Drysdale was doing the color commentating for ESPN. We asked her to talk to our team and she did a wonderful job in painting a picture for them on the excitement of going to the Final Four. At LSU, we are blesse d with great coaches and motivational speakers. We have used Skip Bertman several times along with Dale Brown, Nick Saban and Les Miles. Each year during our first four Final Four runs, we brought in professional Felicia Hall who did a tremendous job of working with our players in team building exercises along with guiding them through team goal setting. This is a great way to motivate your team and to have them learn from some great “teachers” outside of your staff. The greatest benefit is that it almost always comes back to reinforce what you’ve been teaching them. COACH MEYER: "All coaches should study John Wooden." Actually I didn't learn this from Coach though he never speaks at a clinic that he doesn't bring it up and thus remind me of the importance. My junior high coach and mentor Allen Osborne started me on the path to learning from Coach Wooden (among others) and then working for Dale Brown, a dear friend of Coach Wooden, we were always encouraged to study Coach Wooden. In fact, Coach Brown annually made a trip to California for the purpose of spending time with Coach Wooden talking about basketball and life. 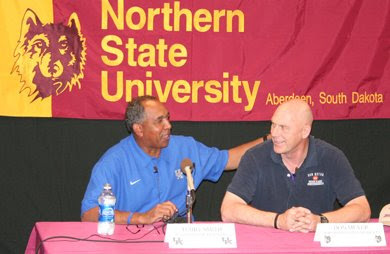 One of my greatest thrills in coaching was when Coach Brown arranged for me to fly out and spend a day with Coach. It was an amazing and educational experience that I will never forget. "The most important measure of how good a game I played was how much better I'd made my teammates play." 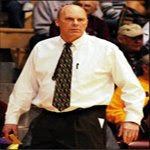 DON MEYER: "Scheduling can give your early success but you can't over do it. Remember, you can't build anything picking up sticks but you can get killed when the big trees fall." There is an art to scheduling that some coaches take too long in discovering. It is important to understand what type of team you have and what you need to find ultimate success. Filling your schedule with a lot of easy games will pad your record until you get to conference play but I've seen many coaches do this and then have a very disappointing conference season. You can also make your schedule to difficult which doesn't allow for growth and confidence necessary to progress your team properly. We like to look at our conference and try to find teams that play similarly for our non-conference games. For instance, we have a couple of teams in the SEC that play a strong match-up team so we are going to schedule some non-conference games against teams that play match-up. You'll see Xavier on our schedule this year -- the first time that we've played them. Many will wonder what was the reasoning for playing Xavier besides the fact that they have a good team. Well the one of the best players in the SEC this year will be Auburn's DeWanna Bonner, 6-4 perimeter player...that's right a 6-4 perimeter player! She's very skilled and a difficult match-up for anyone. Xavier has a 6-5 perimeter player in Amber Harris and she is also an outstanding player. Therefore it would give us the opportunity to face a tall perimeter player in the non-conference season to gauge how we might play against Auburn. Unfortunately, Amber had a cartilage injury this week and will need surgery and miss our game. As a coach, you never like to see players injured. 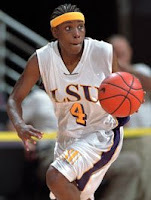 Amber is a talented player and I am sorry our fans won't get to see her play when Xavier comes to Baton Rouge this year. Several years ago we schedule a non-conference game with Connecticut which had us traveling to Hartford to play in that hostile environment the same year we were playing Tennessee at Knoxville. We heard some criticism early for scheduling such a difficult road game the same year we at Tennessee. We lost to UConn in a great game by two and later went to Tennessee and won in Knoxville for the first time in school history. I honestly believe playing at UConn prepared our team for playing at Tennessee. Another element of scheduling for us is trying to take our players home. Xavier will serve a dual purpose for us in that next year we will return to Cincinnati and take Ayanna Dunning home. We try to take every player out of state somewhere close to home if at all possible. We also play games within our state because we believe it helps their program (as well as ours) and it grows that game of women's basketball within our state. We have natural rivalries with Louisiana Tech, Tulane and New Orleans within our state so fans from both teams can travel to the games. Five years ago, when our team had never been to a Final Four, we schedule a game in the New Orleans Arena (where the Hornets play). We did it purposely because the New Orleans Arena was also hosting the Final Four that year. We made sure that fact was not lost on our team and after the regular season game was over, we walked our team around the arena and asked them to envision coming back in April -- and we did, making our first of five straight Final Four appearances. "A coach can only do his best, nothing more, but he does owe that, not only to himself, but to the people who employ him and to the youngsters under his supervision. If you truly do your best, and only you will really know, then you are successful and the actual score is immaterial whether it was favorable or unfavorable. However, when you fail to do your best, you have failed, even thought the score might been to your liking. This does not mean that you should not coach to win. You must teach your players to play to win and do everything in your power that is ethical and honest to win. I am rather thoroughly convinced that those who have the self-satisfaction of knowing they have done their best will also be on the most desirable end of the score as much, and perhaps more, than their natural ability might indicate." "Great men are little men expanded. Great lives are ordinary lives intensified. All lives are potentially great. It is great to serve life. The most important think in life is not what people can do for you but what you can do people. Lose yourself in a cause bigger than yourself. It is great to stand for something. Men of principle are the principle men. Character is the bedrock of true greatness. The Chinese philosopher Lao-tze listed gentleness as the first quality of greatness. It is great to have great aims. Follow the counsel of Daniel Burnham: 'Make no little plans. They have no power to stir men's blood. Make big plans, aim high in hope and work, remembering that a noble, logical diagram, once recorded will never die.'" More C's from John Maxwell from his book "Teamwork Makes the Dream Work." Community that makes the journey fun! "What we do on some great occasion will probably depend on what we already are; and what we are will be the result of previous years of self-discipline." There will be several things that will be repetitive in this blog. One is my respect for John Maxwell. Without every walking a foot on the LSU campus, he has had a profound effective on our program through his writings. We have used many of his writings as motivational materials and have used entire books for our team to read and study from. The following is but a small sample of the many things he teaches. He has a profound way that he writes in that he finds a way deliver the most complex message by a simple means. 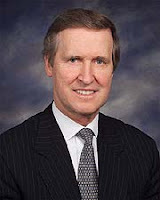 The Five C's of Effective Decision Making comes from his book "Be All You Can Be." Make others aware that you're aware. Enable your outer circle to visualize the positive results of your decision. Evaluate your decision honestly. Compare the pros and cons. This is the climax of the decision-making process. This is the step at which you reach a consensus. Once you and your circle have agreed on the decision, they should stand with you in seeing that decision through to fruition. Excellent rebounding teams usually win because they have a great number of possessions than their opponent. It means they have more opportunities to scores while their opponents have less. A big part of rebounding is obviously technique and certainly we are going to talk about methods of rebounding – both individually as well as a team. We delve into offensive and defensive rebounding and the various methods that are used for maximum results. 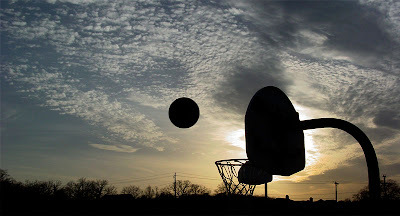 But first and foremost, we should look at the make-up of a great rebounder. The individual that excels in rebounding has a special blend of physical and mental characteristics that allows her help her team on the boards. "Man can preserve a vestige of spiritual freedom, of independence of mind, even in such terrible conditions of psychic and physical stress." "...everything can be taken from a man but one thing; the last of the human freedoms -- to choose one's attitude in any given set of circumstances, to choose one's own way." "Fundamentally, therefore, any many can, even under such circumstances, decide what shall become of him -- mentally and physically." "If there is a meaning in life at all, then there must be a meaning in suffering. Suffering is an ineradicable part of life, even as fate and death. Without suffering and death human life cannot be complete." "The way in which a man accepts his fate and all the suffering it entails the way in which he takes up his cross, gives him ample opportunity -- even under the most difficult circumstances -- to add a deeper meaning to his life." "...it did not really matter what we expected from life, but rather what life expected from us." "Life ultimately means taking the responsibility to find the right answer to its problems and to fulfill the tasks which it constantly sets for each individual." From "Man's Search for Meaning"
All successful projects are simply a long series of adversities which must be overcome. Far from it being unusual to face adversity, it is normal, and it is our business to overcome it. The real test is not when we are successful when there is no adversity, but when there is and we triumph. When we face these challenges and position them so that we fell we have no alternative, that there can be no excuses, we can accomplish the impossible. From "Wisdom Of The Generals"
By William A. Cohen, Major General, USAFR, Ret. #1 Remember that the biggest of all keys is to always maintain good spacing. With good spacing, it leaves more room for the defense to cover, and longer distances for them to run before making a trap or steal attempt. #5 If at all possible, we don’t want to receive the entry pass to close to the inbound baseline. Again, this is poor spacing. Try to catch the ball as deeply as possible to give you more room to operate. #8 Always remember, once you beat the pressure, the good press defense teams like to come from behind and try to knock the ball away. You must always stay alert - don't relax. are the fundamental building blocks to success in any field. COACH MEYER: "Have you ever seen a great program that doesn't have great communication." I don't think Coach would get an argument from anyone that's been in the game for even a short time. Therefore if we know it's true, then what are we doing to develop that phases of the game. At Duke, they teach three phases of basketball: offense, defense, communication. There are a lot of ways to help your team communicate better but we'll start with a simple one that has been very effective in our program over the years -- and yes, it's another Coach Meyer staple -- ECHO YELLS. The way Echo Yells works is that when a coach calls our a drill, the team, in unison, must call it back out to the coach. If a player is coming down the floor and calling out an entry, we want our team to utilize an Echo Yells. We even have our strength coach utilizing it in the weight room. The key to Echo Yells is that not only does it get them talking, but it means that they first must be listening. The pads of paper are like little cobblestones that form the path to one of the greatest football minds of his day. New England Patriots Coach Bill Belichick always has those notebooks with him, waiting for something as mundane as a practice schedule or as complex as an offensive system to be revealed, to spark his interest and demand to be remembered. When New England plays host to the Indianapolis Colts tonight, the game will be viewed by many as a chess match between the most cerebral quarterback in the N.F.L., Peyton Manning, and the 53-year-old coaching mastermind whose game plans have launched the Patriots to three Super Bowl titles in the past four seasons. But even as Belichick flourishes at the highest level of his profession, he is engaged in the equivalent of a postgraduate education program, an independent study tour that has taken him from Annapolis, Md., to Gainesville, Fla., from a cot in Ted Marchibroda's hotel room to Jimmy Johnson's boat. At each stop, usually in the off-season and sometimes involving intensive film study, Belichick has picked the brain of his host, gleaning bits of wisdom about everything from Navy's run offense to Johnson's philosophies on drafting and contract negotiations. Such sessions are common among college coaches, who freely share information about their schemes with coaches whose teams are not on their schedule. Bear Bryant, the legendary Alabama coach, went to Texas one spring to study the wishbone. Current college coaches frequently visit Virginia Tech to learn some of Frank Beamer's special-teams techniques. 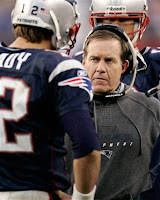 But Belichick's forays are unusual in the N.F.L. ; limited time in the off-season and heightened paranoia result in most coaches avoiding anything more than the most informal sharing of information. "He's a perfect example of what we've let slip away in the image of a coach - the job is a teaching job," said Giants General Manager Ernie Accorsi, who was the general manager of the Cleveland Browns when Belichick became the head coach there in 1991. "Bill certainly has a great deal of self-confidence, but he's got the humility to know that he can always learn from somebody that's successful. To me, the smarter you are, the more you want to learn." "It's just an exchange of information with somebody that you have common ground with," Belichick said in an interview during training camp. "You talk about things that are successful, and sometimes that has an application to what you're doing." When Belichick took his first job as a head coach in Cleveland, he made an unusual request when he and his staff members went to the scouting combine in Indianapolis. Each assistant was assigned three other teams; they were to ask members of those coaching staffs what their practice routines were. The point was to see if anybody else had good ideas about how to run practices. Another summer, Belichick put a pile of books on a table in a meeting room. Each book had something to do with sports or great athletes. Belichick and his father have enormous libraries of football and sports books, about 500 volumes each, some historical, some technical. He assigned two books to each of his coaches, and when they returned to work for the start of training camp, he asked them what they had gotten out of their summer reading. Book reports for the shoulder-pad set. 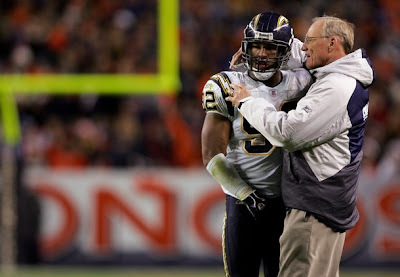 "He said, 'I think you can learn from others,' " said Pat Hill, who was a member of Belichick's staff in Cleveland. He is now in his ninth season as head coach at Fresno State. He added: "Bill is a very good listener. He wanted your opinions. He didn't want yes guys. There's a big difference between listening for what you want to hear and listening to learn. When he listens, he has a reason for the questions." The questions have helped Belichick evolve - from the failed Cleveland coach who seemed so inept that other executives thought Robert K. Kraft, the owner of the Patriots, was crazy to hire him. Even in recent years, as Belichick and the Patriots have established a dynasty and a franchise model that is the envy of the N.F.L., he has continued to seek advice. Just weeks after the Patriots beat the Carolina Panthers for their second Super Bowl title, Belichick was in Baton Rouge, La. the coach at Louisiana State at the time. Saban now coaches the Miami Dolphins. My favorite quote from Bruce Lee -- and yes, I have many. This is one that we annually share with our team. Fairness, respect, and trust are the three prime ingredients in any recipe for teamwork. 1. I treat team players with honesty and trust and ask for the same in return. 4. I never air grievances to others, including the media, before I privately air my grievance with a player. 5. I never humiliate or embarrass a team player in front of others. 6. I don’t play favorites. I offer no special favors to high-salaried starts or players I like, nor do I make a show of personal preferences. From "Joe Torre's Ground Rules For Winners"
"The most important thing I do is go to a kid’s school. As I walk around the school, I’ll stop a student and ask where the coach’s office is located. Then I’ll ask the student about the kid I’m recruiting. I’ll ask if he’s a nice guy, that sort of thing. Those students usually tell you the truth about a kid. And those answers are as important to me as anything else I do." "I pick up on little things. I watch how a kid responds to his parents. I watch how a kid deals with his high school coach. I watch how they are during timeouts. I try to get to practice early and watch them. I don’t like guys looking over at me when I’m watching them...I don’t want them to be more worried about me than basketball." "If someone asked me for recruiting advice, I’d tell them they have to know their market and know their school. You don’t want to waste time. The worst thing you can do in recruiting is come in second. You’ve got to know when to cut your losses." "You have to determine how a player will fit into your system. The most pivotal spot is point guard. The next spot is the four spot, the power forward. That’s the spot I pay the most attention to because I like to play the middle less congested. I want my four-man to be able to go on the floor, shoot, and stretch the defense." "I don’t know if I’m a good recruiter. I know I’m a hard worker. I’m diligent. I spend a lot of time on the road. I’m a good evaluator. But your proficiency comes through repetition. I always say, 'You’ve got to kiss a lot of frogs to find a prince.'" 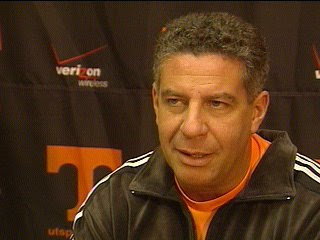 From "My Life On A Napkin"
Tennessee Coach Bruce Pearl has pre-determined substitution patterns going into a game. "Here's my definition of success: choosing to enter into the arena of action, determined to give yourself to that cause which will better mankind and last for eternity. Success is more than just power or not violating the rights of others; it is the privilege of contributing to the betterment of others." "The difference between a good coach and an average coach is knowing what you want, and know what the end is supposed to look like. 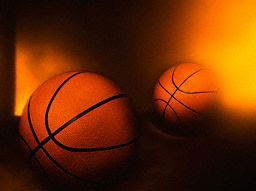 If a coach doesn't know what the end is supposed to look like, he won't know it when he sees it." Without question one of the Don Meyer trademarks is the dictaphone -- the handheld recorder in which Coach seemingly can't live without. The very first time I heard Coach speak was at one of his free fall clinics at Lipscomb. We started on a Friday night in an auditorium with Coach showing us his dictaphone and he then preceded to use it the entire weekend. When a thought important to his team came across his mind, even if it was in the middle of the lecture, Coach stopped and talked into the recorder. During his most recent visit to Baton Rouge this past July, Coach shared with me his notebooks that are used for specifically jotting down the notes given into the dictaphone. 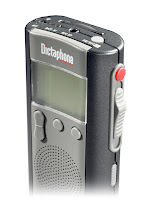 I've been using my own dictaphone since that first visit to Lipscomb well over a decade ago but I have now started my own "Dictaphone Notebook" so I can transcribe my notes as well -- and of course it has made me a better coach by being repetitious. Of course Coach has it down to an art form. He utilizes his at all times including during a game. It is nothing to see him walking the sideline and pulling out his recorder to talk into it. As he continues to recover in a hospital in Sioux Falls I am told by his daughter that the recorder is getting double duty. He even utilized it while listening to his team on the radio Saturday night as they played in their first exhibition game. Vision is a very encompassing matter. 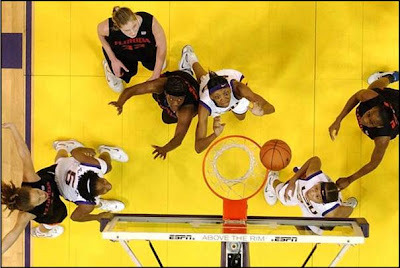 A good perimeter player does more than just see her teammates -- she also sees the defense. This particular type of vision allows the good perimeter player to make the proper decisions with the basketball. The best perimeter players never let anything upset them. They don’t let the crowd effect their play; they don’t let the other team effect their play; and they don’t let any breakdowns by their teammates effect their play. We want players that are warriors in the weight room. This is an area that we have greatly improved in our program the past few years. Working hard in the weight room doesn’t mean that we are interested in huge muscle bound athletes. We are interested in developing upper body strength and explosiveness from the lower body. We expect our perimeter players to be able to outrun the opposing perimeter players down the court for fast break opportunities. And, just as important, we expect our perimeter players to be able to outrun the opposing perimeter players and be in good defensive position in defensive transition. In our motion offense, our perimeter players are constantly moving. We are always telling them, “be hard to guard.” All of this demands a supreme physically conditioned athlete. We expect our perimeter players to be able to “think” the game. Again, because of our motion offense, our perimeter players are expected to constantly make good decisions while on the floor. When and who to screen, when to pass, when to dribble are just some of the instant decisions we expect them to make. Equally, because we utilize scouting reports, they must know which particular player they are defending and how to defend them. Obviously, to be a warrior in the weight room, and supreme physically conditioned athlete, and a mentally prepared basketball player, you must first possess a great work ethic. We demand a lot from a Lady Tiger perimeter player and the truly good ones are not afraid to work. To be a top-flight player, a good work ethic is a year round necessity. A staple of Coach Meyer clinics over the years has been a simple formula based on the word "work." Phases of our job change -- sometimes drastically. There is so much great technology involved from video editing systems to a new range of rules and regulations involving recruiting. There is one thing that remains constant -- to be the best you can be -- to reach your potential -- you must know how to work...work hard...work smart...work consistently. 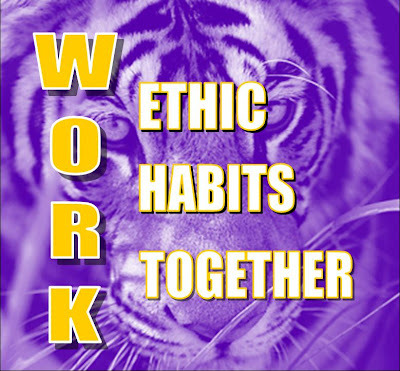 Below is the simple chart Coach Meyer gives at clinics in regard to work -- as you can see, we have added an LSU Tiger taste to it and you can find it in our locker room as well as on a page in our player notebooks. Each player on the court has a specific role that she must fill in order for our team to be successful. This is true when we shoot the ball. Once the ball is shot you have one of two responsibilities: crash the offensive boards or sprint back on defense. The worst thing you can do is stand and watch. Here are the guidelines for our team regarding offensive rebounding. It does not matter where you are on the offensive end of the floor — when the ball is shot you are sprinting to half-court and then turning to find the basketball. Any time a perimeter player finds herself below the motion line when the ball is shot, we want her to aggressively attack the glass. Any time a perimeter player finds herself above the motion line when the ball is shot, we want her to sprint back defensively. If the point guard penetrates to the basket, we want the #2 player to start rotating to the top of the key area and if the ball is shot, she is responsible for being the first player back. If you are straddling the motion line, you can go to the glass if you think you have a chance — if not, sprint back. But whatever you do, don’t stand and watch! Tusculum's Jim Boone is not only a dear friend but a great teacher of the game. He is gaining a national reputation for his ability to teach the Pack Man Defense. And as we all know, good defense starts in conversion so here are Coach Boone's key to good conversion defense. 1. There are two critical areas in regards to being an effective defensive team that you as the coach must be accountable. The first is conversion defense and the second is defending the low-post. 2. In our Conversion Defense we are not assigned a specific player necessarily, but rather, we are defending positions on the floor in order to stop the ball and our opponents transition offense. 3. Our conversion defense begins as the ball is being shot by our offense. We send two guards back on defense as the shot goes up – we feel that the benefit of having our guards back on defense to STOP the BALL, is of a far greater benefit than any advantage that may be derived by having one or both rebound the offensive glass. 4. We designate which guard is our "Lane Defender" and which guard is the "Ball Defender". The lane defender sprints to paint, finds the ball and takes the lane-line on the side that the ball is being entered into play. He positions here in order to take away any cuts into the lane and will closeout to a "Gap Position" or to the ball, as soon as the lane is secured. The ball defender works to contain the ball-handler at half-court, and preferably get the ball out of the middle of the floor. Again, he must contain the ball first and foremost, and of course, his point of pick-up can change due to our opponent’s personnel. 5. The remaining three players sprint back to paint as soon as our opponent gains possession of the ball. We teach their first three sprint steps to be with total disregard to vision; turn and sprint three steps, and then locate the ball as they continue to the lane. We will position toward the ball-side as deep as the ball. We cannot express enough the emphasis that we place upon our team of not giving-up transition baskets, NO LAY-UPS! 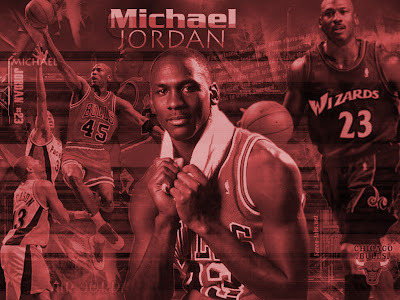 "I realized that if I was going to achieve anything in life I had to be aggressive. I had to get out there and go for it. I don’t believe you can achieve anything by being passive. I know fear is an obstacle for some people, but it’s an illusion to me. I can accept failure. Everyone fails at something. But I can’t accept not trying." Ladell Anderson is a legendary coach in the state of Utah. He was an assistant at Utah under Jack Gardner before returning to his alma mater Utah State where he coached from 1961 through 1971, guiding them to four NCAA tournaments and two NITs. In 1970 he lead Utah State to the Elite 8 where they lost to eventual national champion UCLA. One of his assistants at Utah State was Dale Brown and because of that I had the good fortune to spend some time with him several years ago to pick his brain. Here is a quick sample of some of the things he passed on to me. My friend Shane Dreiling of Team Arete has great basketball resources available for coaches. I've spent this morning reading his book The Tenets of Team Defense. Shane has did an incredible job of writing up his defensive philosophy in a simple yet detailed fashion. The book is only 40 pages long which makes it a short read yet Shane is able to break down various defenses including man to man, 2-3 match-up and a variety of presses. He also gives pointers on playing some combination defenses as well. Every defensive system is dependent upon making certain things happen on the court. Our system is no different. No matter what half-court or full-court defensive set we are in, our success is dependent upon our five keys to great defense. This is a great book for the young coach looking for a way to build their defense but it is also a good book for the veteran coach that is looking for ways to refine how they defense. Chapter 8: Teaching Points and Defensive Evaluation is along worth the price of the book. You can find all of Shane's books and DVDs at his website www.teamarete.com. You can also find them at www.basketballsense.com. While you are there I'd like for to check out the volume of books and DVDs by another friend of mine as well, Lason Perkins. Lason and Shane are very passionate about teaching and even more importantly -- sharing! COACH MEYER ON LOYALTY: "It must be demonstrated; you can't buy loyalty by paying people more than their worth. You buy loyalty by being a stand up guy. It must also be understood that loyalty is a two way street." Nearly 15 years ago I wrote a book, The Art of Being An Assistant Coach. I sent surveys out to over 100 coaches to rate the characteristics of a good assistant. The landslide winner was loyalty. 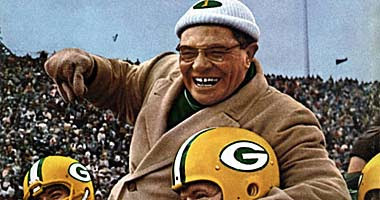 Vince Lombardi called loyalty, "the greatest love of all." General George S. Patton said he'd "rather have a loyal soldier than a brilliant one." Though recently retired, I was fortunate enough to coach at LSU while Skip Bertman was the athletic director. Skip went above and beyond what most ADs do in that he spend a great deal of time in helping us become better at our craft. For those who may not know, before Skip took over the athletic department at LSU he dominated the world of college baseball by winning five national championships. When he speaks, I listen! One of the things he did was bring in people to work with us and known better then Dr. Kenneth Ravizza, one of the foremost experts of sports psychology. On one such visit, Dr. Ravizza gave us a list: Fundaments of the Mental Game. 1. Take responsibility for your thoughts and actions. 2. Be on a mission: know why you play your sport, what character traits you want to posses and what you want to accomplish in it. 3. Make your daily actions consistent with your mission. 4. Perform one moment at a time; confident and focused on each moment as it is played with disregard for past or future moments. 5. Focus on the process of playing the game rather than the outcomes of your performance. 6. Realize that you can't control what happens around you but you can control your response to it, and that you be in control of yourself before you can control your performance. 7. Develop your mental skills so you constantly perform near the best of your ability and have "something to go to" when adversity strikes. 8. Practice what you are going to do in your performance. 10. Keep it simple, smart. bridges in their imaginations far ahead of the crowd." From the Coach Meyer Clinic Hall of Fame! Post: doesn't have to be your tallest player; must be able to get open, stay open and catch the ball. Athlete: if you can get the ball to an athlete in the high post, you can break down any defense. You can imagine the laughter at the clinic when Coach goes over the Dork Rules but, as always, there is a method to his madness. What he is teaching us is the art of role development. We all have players that aren't quite as athletic or skilled as we'd like for them to be. We may even be forced to play a player that has a poor basketball IQ. But if they have to play it is important that we put them in situations to succeed. The Dork Rules are a way of saying that we need to find one or two things a player can do...teach him/her to do them as well as possible...make sure they know that those are the things they need to do to play/help the team...and stay away from their weaknesses - those things they can't do well. "Whoever is first in the field and awaits the coming of the enemy will be fresh; whoever is second in the field and has to hasten to battle will arrive exhausted." FACT #1: As each goose flaps its wings it creates an “uplift” for the birds that follow. By flying in a “V” formation, the whole flock adds 71% greater flying range than if each bird flew alone. FACT #2: When a goose falls out of formation, it suddenly feels the drag and resistance of flying alone. If quickly moves back into formation to take advantage of the lifting power of the bird immediately in front of it. LESSON: It we have as much sense as a goose we stay in formation with those headed where we want to go. We are willing to accept their help and give our help to others. FACT #3: When the lead goose tires, it rotates back into the formation and another goose flies to the point position. 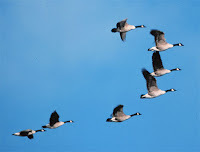 FACT #4: The geese flying in formation honk to encourage those up front to keep up their speed. LESSON: We need to make sure our honking is encouraging. In groups where there is encouragement, the production is much greater. The power of encouragement (to stand by one’s heart or core values and encourage the heart and core of others) is the quality of honking we seek. FACT #5: When a goose gets sick, wounded or shot down, two geese drop out of the formation and follow it down to help and protect it. They stay with it until it dies or is able to fly again. Then, they launch out with another formation or catch up the flock. The Five Dysfunctions of a Team is a unique read in that the author, Patrick Lencioni, had developed a fictional company with fictional employees to take us through the lessons he has learned through his own years of experience. Because of the fictional set-up, the book can be a little slow or difficult to follow. But if you hang in there in each section, Lencioni leads you right to the point he is trying to make in each area. In the context of building a team, trust is in the confidence among team members that their peers’ intentions are good, and there is no reason to be protective or careful around the group. In essence, teammates must get comfortable being vulnerable with one another. Besides showing examples of the dysfunctions with the fictional company, Lencioni also spends detailed time at the end of the book evaluating each dysfunction. He talks about the best way for the team to handle each dysfunction including a section on the role of the leader for each. 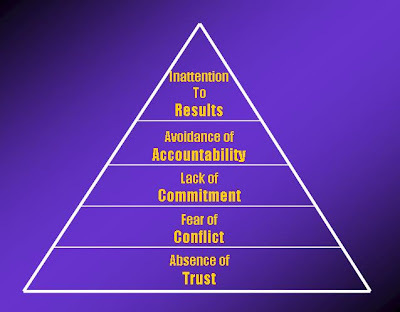 Lencioni utilizes a pyramid to develop the five dysfunctions and while we can not do justice to it in this short review, here is a glimpse into each dysfunction.